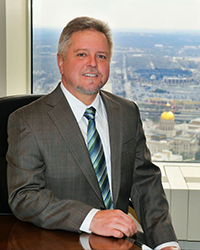 Mr. Klonoski has been practicing law in Atlanta for 29 years. He received his BA in philosophy from The University of Scranton in Scranton, Pennsylvania, and studied at the University of Leuven in Belgium. He received his J.D. from Georgia State University in 1989, and is admitted to practice in Georgia and the 11th Circuit Courts. He is a founding partner of the law firm of Rowen & Klonoski, P.C. in Atlanta. He has a life-long interest in international travel which he incorporates into his practice and his work for social justice for disenfranchised groups. In addition to practicing law, Mr. Klonoski plays competitive sports and often ventures into the Arctic’s most remote areas on solo paddling and hiking wilderness expeditions. Mr. Klonoski heads the R&K personal injury and subrogation teams. 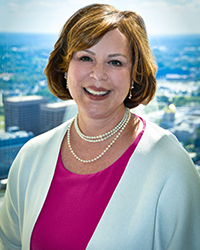 Ms. Rowen has been practicing law since 1979. She received her BA from Emory University in 1973, and her JD from Columbia Southern College of Law. She is admitted to practice in Georgia, the Eleventh Circuit courts, and the U.S. Supreme Court. Her legal career has been defined by her belief that we must all use our time to further human rights in whatever way we can. A founding partner of the law firm of Rowen & Klonoski P.C. in Atlanta, she is AV rated by Martindale Hubbell. She has been awarded recognition in the national legal community as a member of the Bar Register of Preeminent Women Lawyers and the National Association of Distinguished Counsel. She speaks nationally and internationally at seminars about diversity and inclusion in the legal profession. In addition to practicing law, Ms. Rowen and Mr. Klonoski are principals in R&K Productions, LLC, a film production company which produces and directs documentary films about social justice issues. The R&K documentary “Balancing the Scales”, about women lawyers in America, was and will continue to be broadcast nationwide on public television. Since finishing the film in 2016, R&K Productions has screened the film and Ms. Rowen has presented on diversity and inclusion in the legal profession for some of the world's largest firms and corporate legal departments, national women's organizations and at summits sponsored by organizations such as the American Bar Association and Harvard Law School.